Australia’s shock 3-2 ODI series win in India produced many questions which the selectors will hope to have answered in the five-match series against Pakistan starting on Friday. There has been a heavy focus in the media and among cricket fans on Australia’s batting line-up and which players will get squeezed out of the top seven for the World Cup in June. One issue that has been overlooked by comparison is whether Nathan Lyon’s old-school approach to spin bowling can work in one day cricket. Lyon is likely to be picked in Australia’s World Cup squad based on comments yesterday by Australia’s chairman of selectors Trevor Hohns. Yet after 20 career ODIs, the off spinner averages 43 with the ball. That gives him the second worst average of any Australian specialist ODI spinner in history (from a minimum of ten matches). Lyon’s ODI bowling strike rate of 53 is comfortably worse even than those of part-time spinners like Glenn Maxwell (46), Darren Lehmann (34), Allan Border (36), Michael Clarke (45), Steve Smith (38) and Dave Hussey (44). Adam Zampa’s strike rate is 37 – and Lyon’s is 53. The first question, then, is whether there is a place in modern ODIs for a specialist finger spinner who bowls in a non-threatening, traditional style like Lyon? My answer would be yes. With one proviso – they also need to be handy with the bat. Old-fashioned finger spinners like Lyon and England’s Moeen Ali (ODI bowling average 47, strike rate 54) struggle to take wickets in one dayers because of their lack of variations, with their role instead being to stem the flow of runs. But, whereas Moeen adds significant value by striking at 103 with the bat, Lyon does not have another string to his bow. The second question, then, is whether it makes sense to pick a specialist bowler who offers next to nothing with the bat purely because they are economical, ignoring their lack of strike power. My answer would be no. Australian leg spinner Adam Zampa has had a patchy ODI career to date yet his strike rate (37) is still dramatically better than Lyon’s (53). ODI spinners being picked purely for their bowling surely must have the ability to shape a match by both taking wickets and choking the run rate, not just the latter. Zampa has taken two or more wickets in 44 per cent of his matches, a figure which drops to just 20 per cent for Lyon. That is no great surprise. Wrist spinners dominate slow bowling in limited overs cricket, making up five of the top six ranked spinners in both ODIs and T20Is. 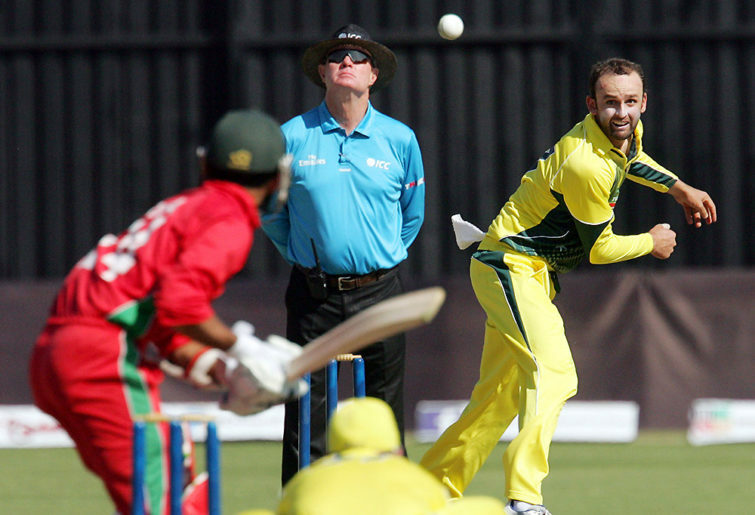 Traditional-style finger spinners have been marginalised, particularly in ODIs due to the limited wicket taking threat they pose on often flat pitches, where their lack of variations make them impotent. The top two ranked finger spinners in ODI cricket – Afghanistan’s Mujeeb Zadran and Sri Lanka’s Akila Dananjaya – are unorthodox bowlers with bulging bags of tricks. Lyon, by comparison, doesn’t have any befuddling changeups, instead relying on his accuracy. This precision helps make him an economical bowler, as evidenced by his fantastic economy rate of just 4.83 runs per over in his 20-match ODI career. But does this frugality make up for the fact that Lyon takes so few wickets? What’s more is that Lyon is actually becoming less of a threat with the ball – since returning to the ODI side nine months ago after a long absence he has taken just four wickets in seven ODIs. 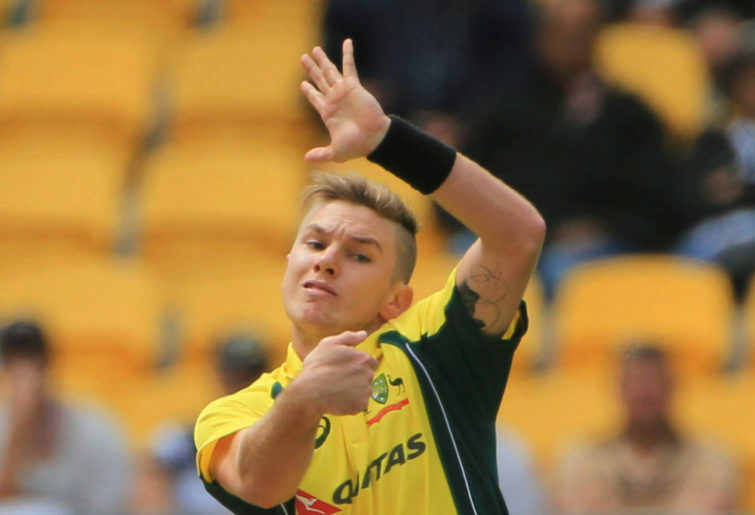 Adam Zampa, by comparison, has taken 11 wickets in his past seven ODIs. Lyon surely will need to prove more penetrative in the ODIs against Pakistan in the UAE if he is to play a significant role in the World Cup.